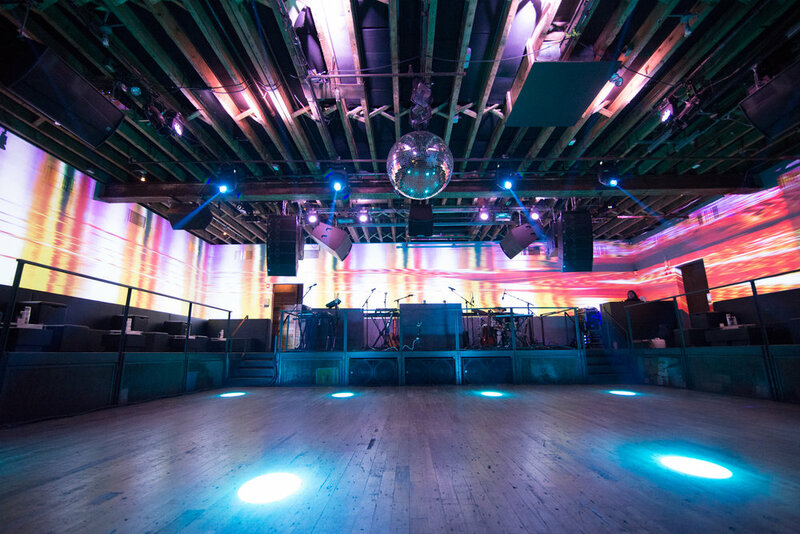 This 10,000 square foot, 750 person space has been designed from the ground up to meat the needs of patrons, performers and event producers alike with top of the line AV systems, modular layout, and full-service amenities. 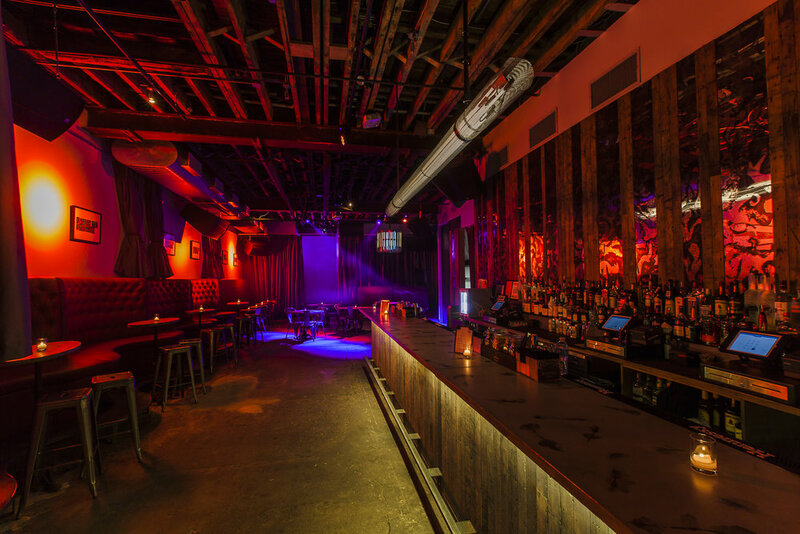 The main room features steel accents, low wrap around stage, immersive panoramic video walls, and reclaimed wood floors. The more intimate second room allows for equally limitless possibilities and configurations, from a small gallery showing to a full cocktail tasting. 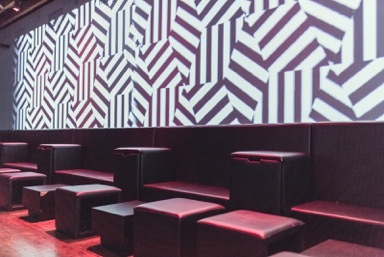 The rooms can be used separately or in unison, with the multiple entrances & bathrooms, spacious coat check, green room, in-house kitchen and setups for both live music and DJs. It has been designed to be the perfect location for parties, art shows, fashion shows, concerts, movie screenings, presentations, weddings and receptions. 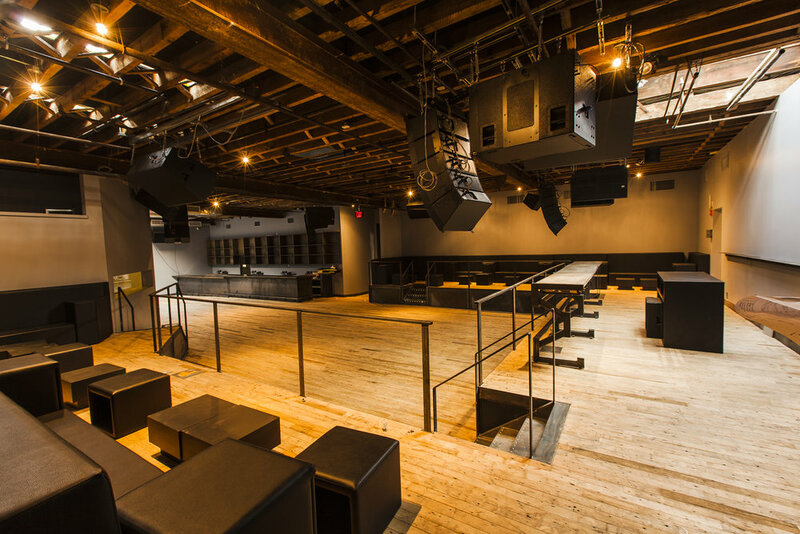 Centrally located in the bustling nightlife hub of North Williamsburg, Brooklyn. Steps away from countless bars, restaurants, and hotels. Easily accessible from Manhattan via the Williamsburg bridge, Midtown Tunnel, BQE, East River Ferry, and just minutes from the L and G subway lines. Let's get started booking your event!